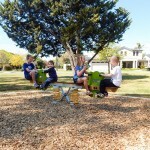 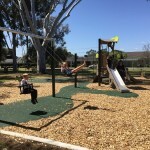 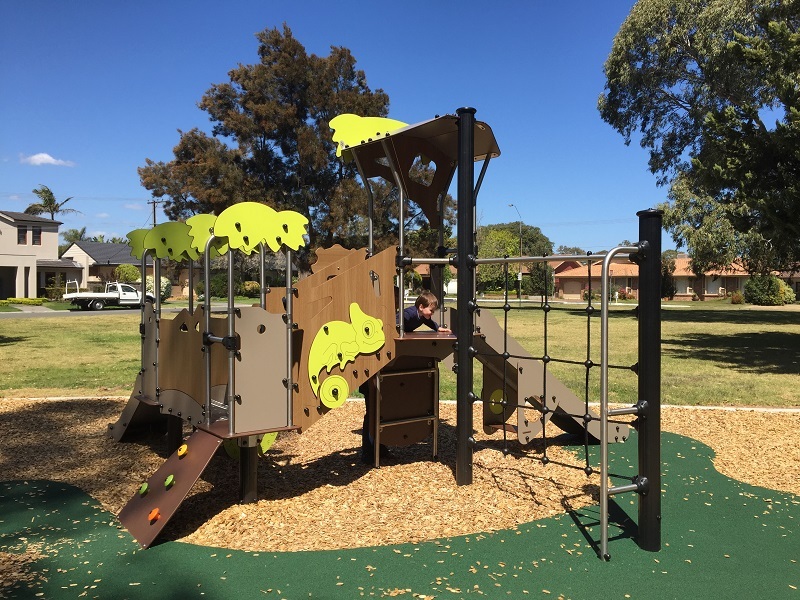 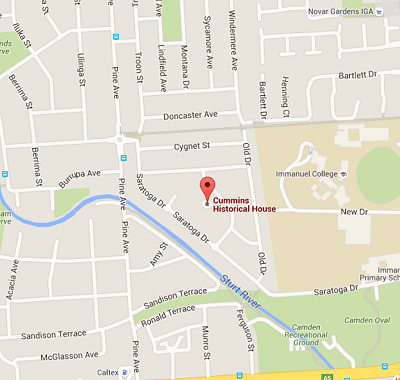 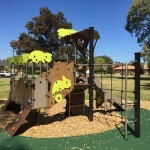 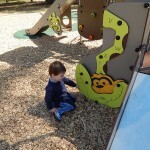 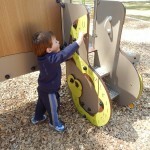 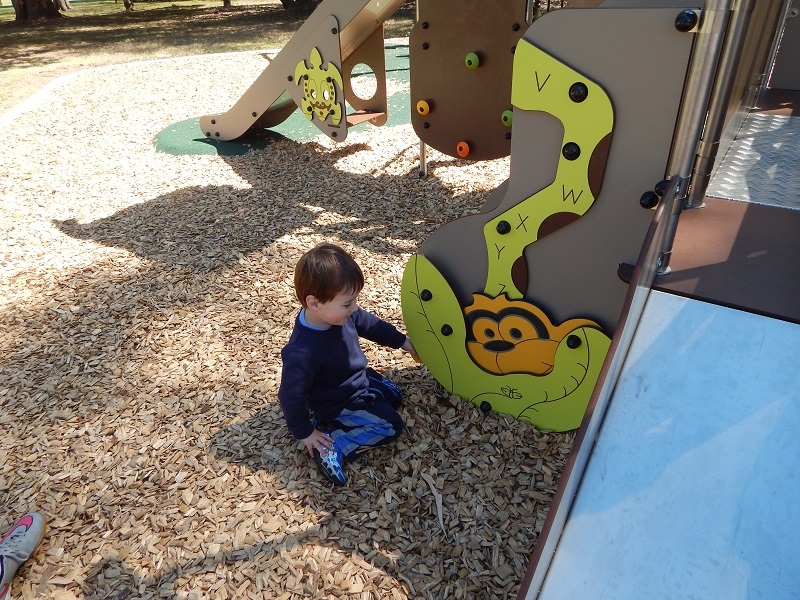 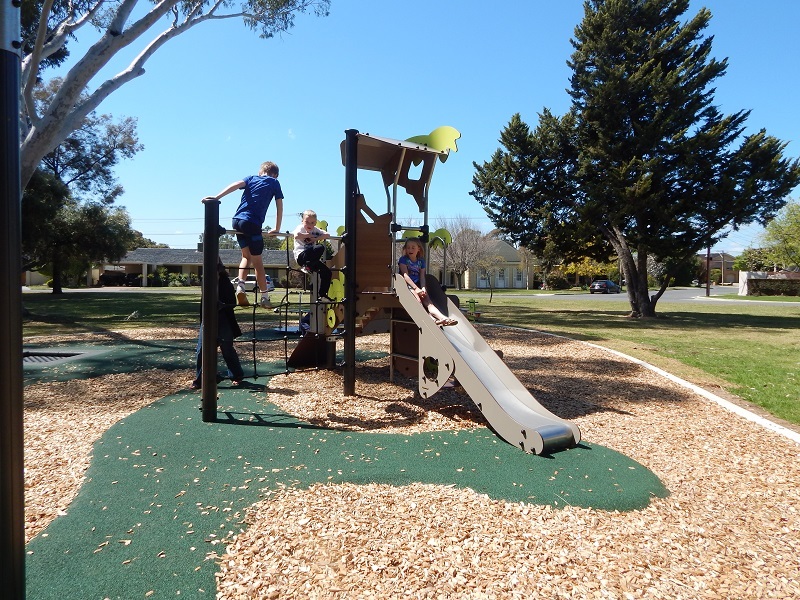 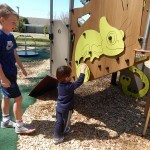 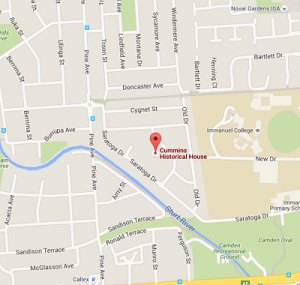 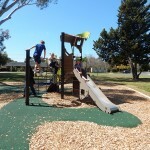 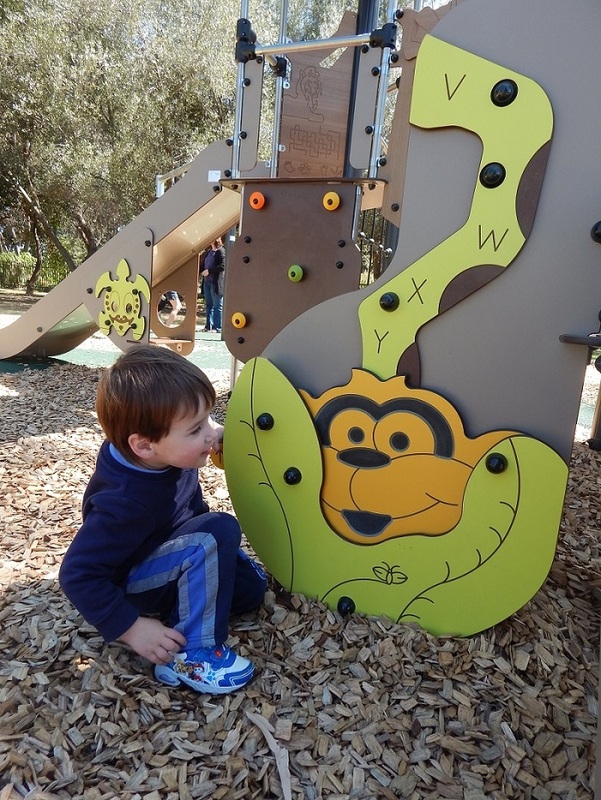 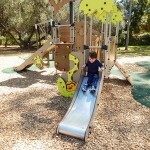 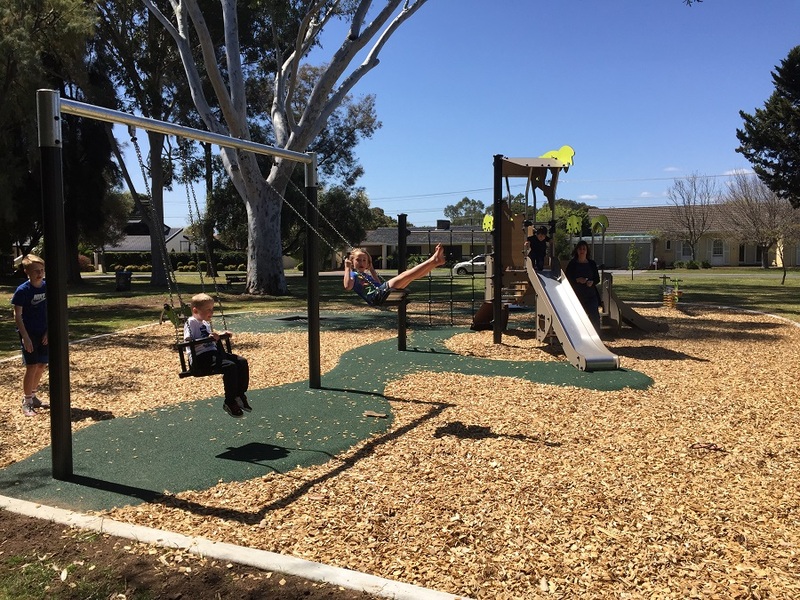 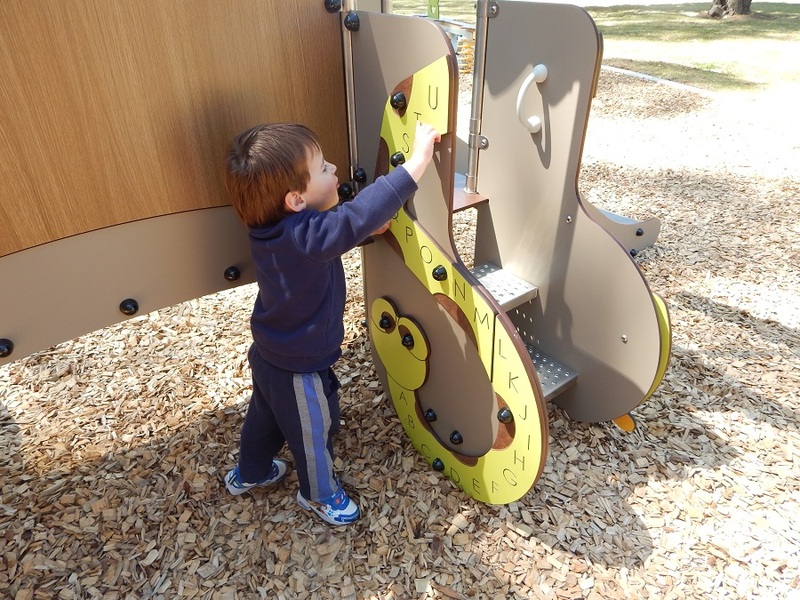 An adventure themed playground aimed at young children has just been installed at Cummins Reserve. 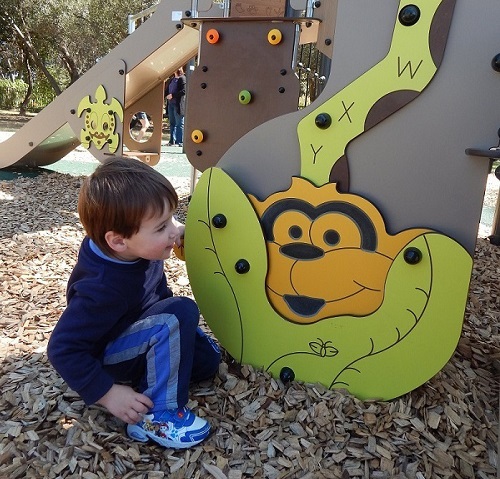 Children will be transported into the leafy undergrowth of a jungle: wild animals, hidden temples… the young explorers will go in search of an adventure! 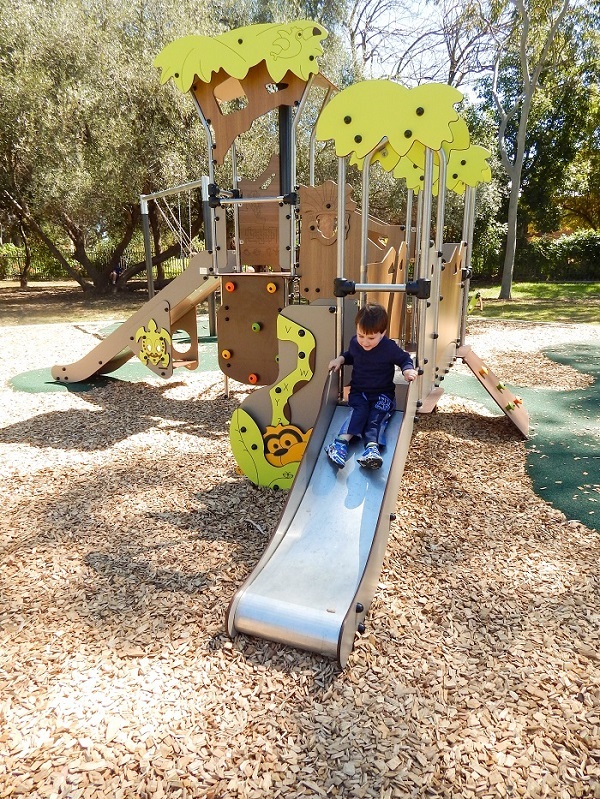 The colours with their tones of green, yellow and brown and the materials of the play equipment complement the natural landscape character of the site. 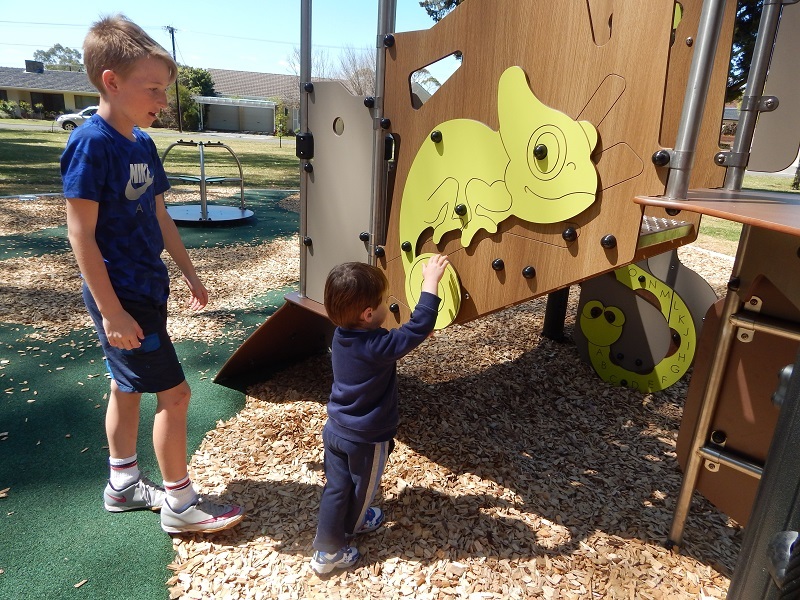 The Diabolo Adventure multi-play unit has many manipulative features that will encourage children to explore the senses of sight, sound and touch and to develop the concepts of logic and consequences. 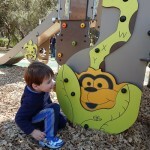 These features also help to stimulate the imagination of children. 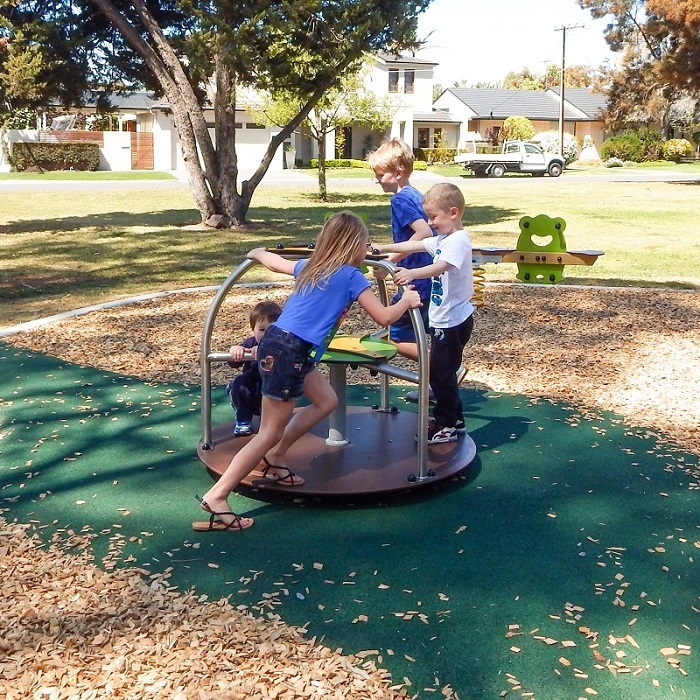 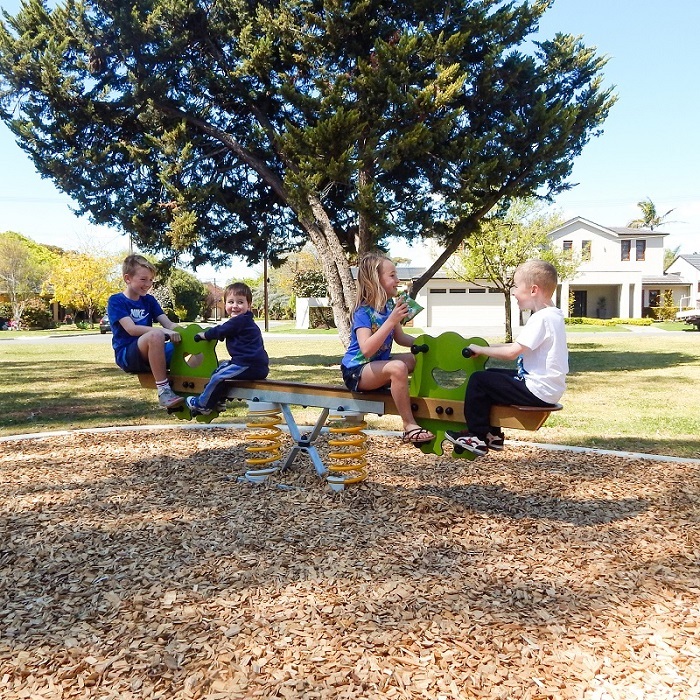 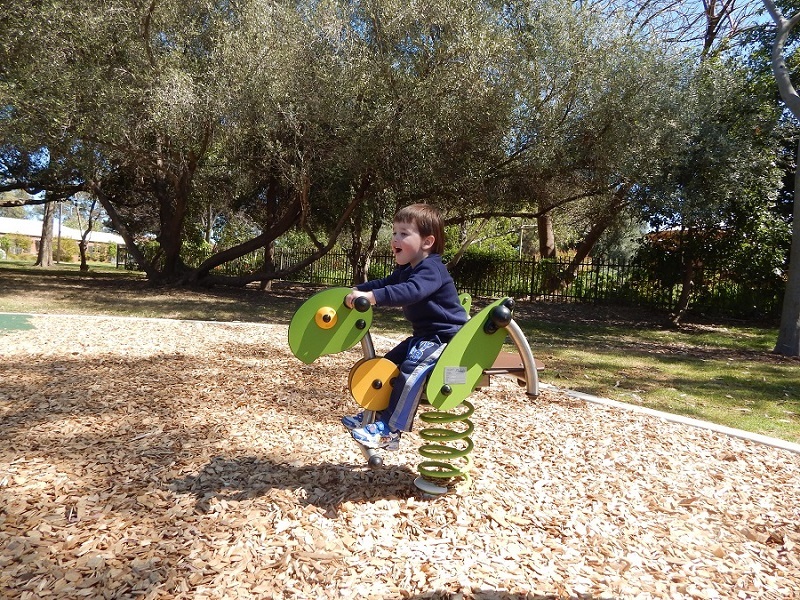 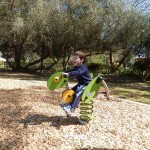 Children can enjoy rocking sensations on the Tree Frogs Springer or Gemini Springer, and spinning sensations on the Tournicolo. A Swing set and Trampoline have also been included in the playground.